The world is becoming fast and multi-tasking has become a common a thing but doing so many things by yourself cuts your time short for other stuff like taking care of the house work and daily chores. If you fail to do all these things then your life is a one big mess. Either you need to let go of some of your work to take care of your house or else hire a domestic help which can do your house work for you when you are away and have a busy schedule. 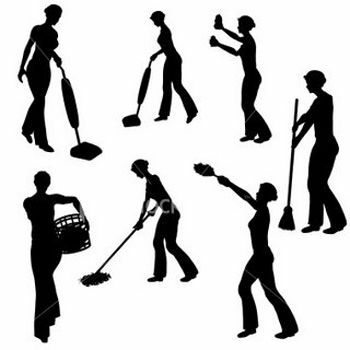 After hiring a domestic help the key is to have a better relationship with your domestic help. If not then things won’t work out for you and again it will be a major mess and trust me you don’t want a messy house or a messy relationship with your domestic help. Both will be troublesome and bothersome for your everyday life. Some people find it difficult to have a well-balanced relationship with their domestic help. Worry not fellow multi-tasking people we will give you some pointers and hint which will give you some idea to how to have a balanced relationship with your domestic help. There are many things you should need to know but the most important thing which you need to keep in mind is that well balanced, yes well balanced not too much and not too less. – The first thing which should be taken into consideration is building a trusty relationship with your domestic help. If you keep feeling suspicious of your domestic help then it won’t do you any good. Your help will feel less motivated and this will not only affect the work but this can also make you lose your help. – It is quite simple really if you imagine your boss at your office treat you like that you will know how your own domestic help feel. So give them a chance and let them prove themselves trustworthy however that does not mean that you should go on trusting everything blindly. That will also hurt you. 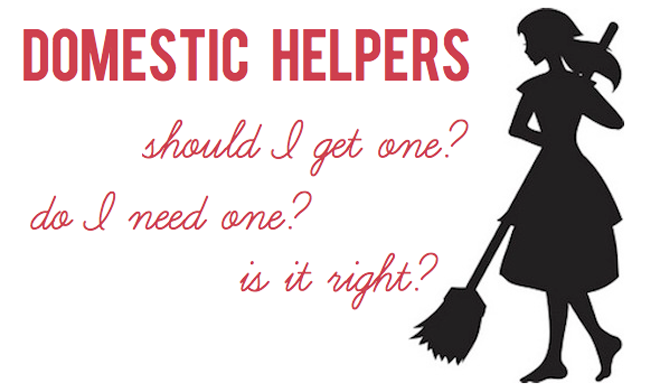 – Understanding your domestic help is also important. Things won’t do you any good if you just keep your domestic help ordering around like do this, do that, fix this, fetch that. Nope this will not work at all. You need to understand her nature and find out how she is more motivated for working. – Be gentle but not too much otherwise that will spoil her. There will be times when your domestic help will not arrive for work. If that happens do not erupt like a volcano. Hear her side of the story. Find out what happened as she may have gotten ill or there might be some other problem. Understand her situation and learn where you have to let this thing slide. – Another thing which is very important to have for a well-balanced relationship with your domestic help is that show that you care. Sometimes domestic help gets tired of the bossy attitude and unhealthy arguments. Try to avoid such arguments and be nice. – If she is helping you with house work a cup of tea for won’t hurt, sometimes may be snacks while working. If she falls ill take her to the doctor and pay for her treatment. Showing her that you care will make her even more sincere to you. And to top it all gifts on the occasions of the festivals and sweets will also have more respect for you in the future. – Another way to keep a healthy relationship is to help her out in your own way for example if she has a kid and she is not able to pay for the tuition and books and stuff then taking care of one child’s education is not a big deal for you but it will a great gesture for her not to mention making her future a bit brighter. – Kindness is the key to have a well balanced relationship with your domestic help however sometimes you need to be firm. You need to make her realize that work is important. As long as she finishes her work then it won’t a big deal if she leaves early or watches television. But make do make her realize that slacking off is not the thing which you want to see.